Irvine Unified School District is one of the top-rated school districts in California. 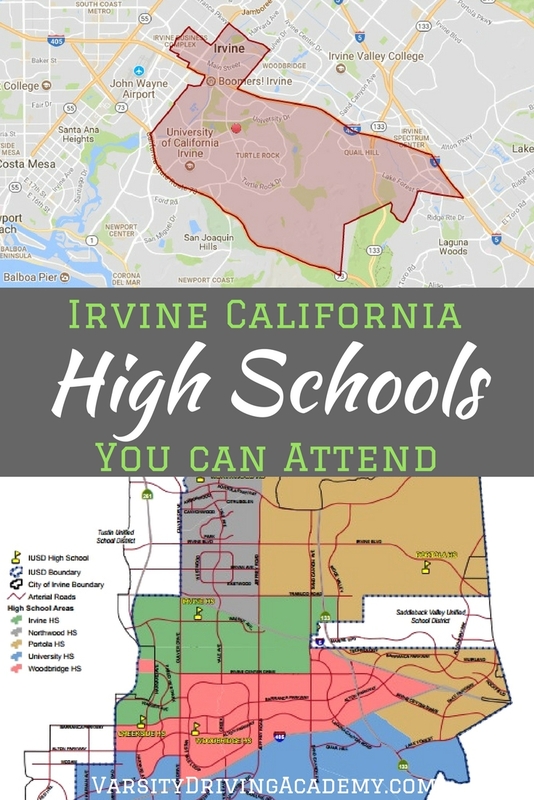 There are currently 5 high schools within the Irvine Unified School District and one alternative learning high school. Each of the high schools has been rated as some of the best schools in California due to test scores and graduation rates. 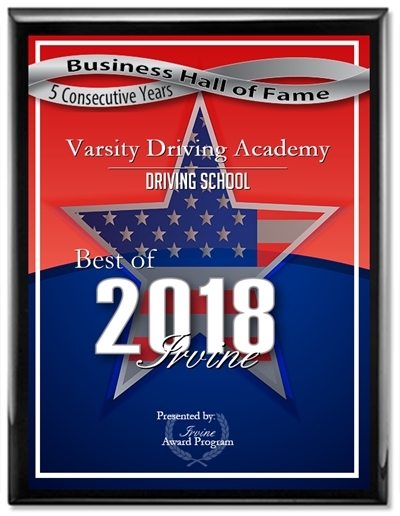 While all are great schools, there is a way to find out which Irvine California high schools you can attend. Where you live in Irvine will help determine the answer. Boundaries have been set up to ensure that every student gets the attention they need by not overcrowding a school. 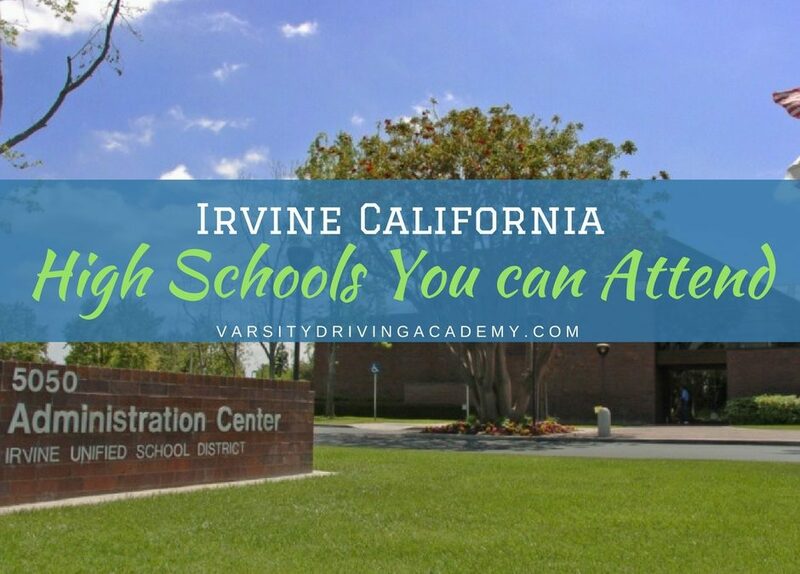 Find out which Irvine California high schools you can attend and get started with enrollment so you can experience the best in California. 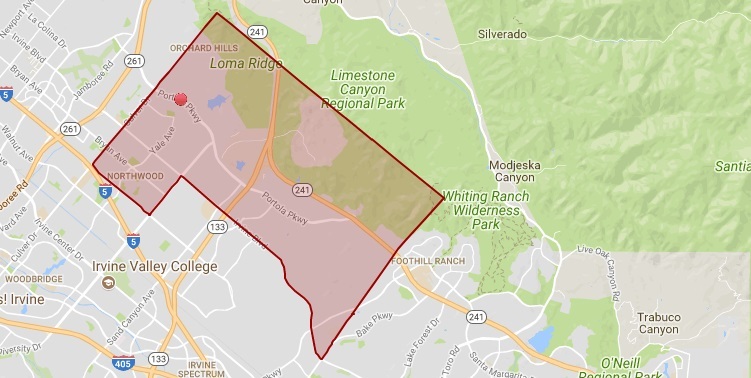 University High School has the largest coverage areas in Irvine, California. The southern boundary follows the southern border of Irvine and wraps around until it gets to University Drive. At University Drive, the boundary makes a straight line northeast until it hits the 405. Once at the 405, the boundary heads north-west until just past Von Karman Ave. where it heads back northeast until McGaw. Heading along McGaw, the boundary then follows Jamboree Road until it hits Alton Parkway. The boundary follows Alton Parkway until Harvard Avenue then makes a left on Main Street until Culver Drive. The boundary then follows the 405 until just past the 133 where it meets Lake Forest. Portola High School has the second largest coverage area in Irvine, California. The Northern border of Portola high school’s boundary starts at the corner of Jeffrey Road and Trabuco Road. Following Jeffrey Road up to the 241, the boundary takes a sharp turn following the Irvine border east. The boundary heads south until it meets Irvine Blvd where it heads north to Trabuco Road. There is another corner that is given to Portola High School that follows the border of Saddleback Valley and Irvine. This boundary follows Technology Road from the 5 and heads east. This boundary also meets University High School’s boundary along Lake Forest. Northwood High School has one of the most straightforward boundaries of all schools in Irvine. Starting from the corner of the 5 and Jeffrey Road, this boundary goes straight up until it hits the 241. Following the border of Irvine west, the boundary heads straight down Culver Drive. Making a slight angle into Irvine following the 5, the boundary ends back at Jeffrey Road. Northwood high school Has one of the smallest coverage areas and is bordered by both Irvine High School and Portola High School. Irvine High School has another relatively straightforward boundary. On the northwestern side, the boundary follows along 261 until it meets Barranca Parkway. Following Barranca, the boundary ends at Culver Drive and heads east until Irvine Center Drive. From Irvine Center Drive, the boundary heads east until Sand Canyon Avenue until it meets Trabuco Road. From Trabuco Road, head west until Jeffrey Road where it turns and follows the boundary for Northwood High School. Woodbridge High School and Creekside High School share the coverage are between Irvine Center Drive and the 405. From the corner of Culver Drive and Irvine Center Drive, the boundary goes all the way across until Sand Canyon Avenue. Going East, the boundary heads up Sand Canyon Avenue until it hits the 5. Then, the boundary follows the 5 until just before Bake Parkway. Then, you can follow the boundary along the 405 all the way back to Culver Drive. Following Culver Drive, the boundary meets Main Street until Harvard Avenue.